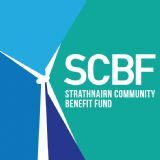 Strathnairn Community Council are seeking a minute secretary to record its meetings. A payment of £65.00 per meeting is offered. The task involves attending the Community Council meeting to take a record of the general discussion and any decisions that are made. Following the meeting a typed record in minute form is required. In order to comply with the requirements of the Highland Council this has to be circulated as a draft no less than 14 days after the day of the meeting. The Community Council hold their meetings at 7:30 pm in Farr Community Hall on the third Monday of the month with the exception of August and December when there is no meeting. The meetings usually last 2hrs.